You know how they say that sometimes in life everything just falls into place? It’s almost like you’re sitting amongst the pieces of a massive jigsaw puzzle and then one day you suddenly step back and realize what the larger picture is. That is what starting The Pin the Map Project was like for me. My life was one big deconstructed jigsaw puzzle. 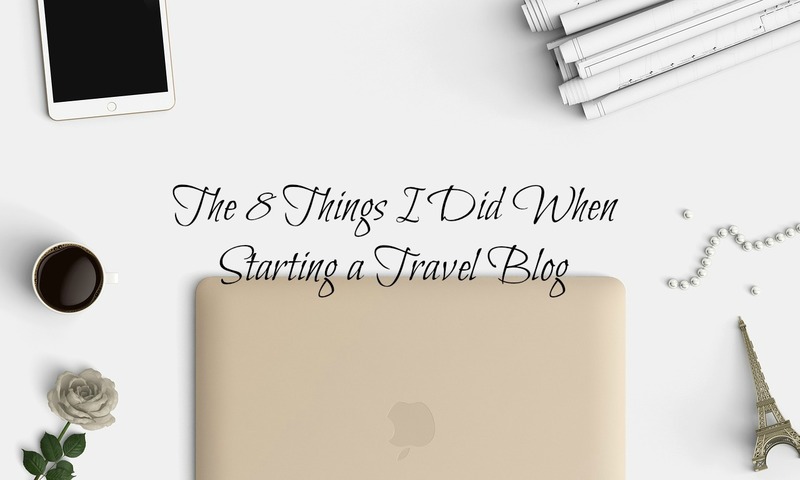 I was unhappy in my 9-5 advertising career, I had a journalism degree I wasn’t using, I had the tendency to day dream about travel and adventures and then one day it all came together in the form of starting a travel blog. Now, I couldn’t decide on the name of my blog as every attempted blog name seemed impersonal, generic or (let’s be honest) cheesy. I didn’t want a blog name that incorporated my own name (something like Nikki’s Nifty Travels) and I definitely didn’t want something that followed the format of Eat Pray Love. Then one day, I received a pushpin map from my mom for Christmas that I could hardly wait to put up in my apartment and pin. When I finally got around to pinning all the countries I’d traveled to, I became acutely aware of how many places I had yet to see. It was a moment of revelation: I was 25 years old, working a job I hated in New York and I had (literally) a whole world yet to see and no immediate plans to see it. Born from a desire to reprioritize my life and travel more, right then and there I got the title for my travel blog: The Pin the Map Project. When I first started The Pin the Map Project, I gave myself a “trial period” to see how I like blogging. I’m a pretty impulsive person and (admittedly) I have started numerous blogs in the past. I once had a fashion blog, a restaurant blog, a personal blog and in the end all said blogs faded into oblivion. To make sure I was serious about my new travel blog, I decided to hold off on buying my domain or investing in my site until I proved to myself I enjoyed writing about travel enough to do it on a daily basis. Once my “trial period” was over, I put my money where my mouth is and hired an extremely talented web designer (cannot recommend her enough!) and bought my domain, www.thepinthemapproject.com. 3. I created the website of my dreams! 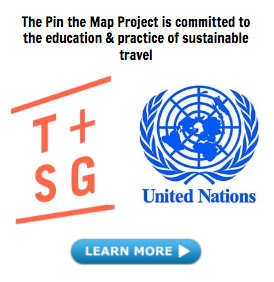 Before The Pin the Map Project was what it is today, it was a pretty amateur looking website. My logo was made in Paint and my website just looked…bad. Granted, I put my best foot forward to try and build my own website using a free WordPress template but, some things are better left to professionals. Once I had made the decision to invest in my website, I began researching different travel blogs and taking note of things I liked on their websites. By the time I reached out to Suitcase Designs to upgrade my site, I had an exact image of how I wanted The Pin the Map Project to look. One of my best pieces of advice for anyone starting a blog is to contribute to other larger publications and blogs to help drive traffic back to your website. When you start a blog it is one of millions living on the internet, your brand new blog is hidden and while you can share it on your social media, it likely will only reach immediate family and friends. So, how do you expand your blog traffic to readers that aren’t your parents? The answer is contributing writing. If you write for larger websites (such as Matador Network, Travelettes, Elite Daily, etc.) you not only introduce new readers to your style of writing but you can include a bio at the end of your article that links back to your own blog. When I first started The Pin the Map Project, I wrote for many publications and would look for opportunities to guest post for popular blogs or interview them for my own site, which helped me grow traffic quicker. Let me preface this by saying that it takes time and a hell of a lot of effort to get to the point that you will snag free travel perks with your blog. It has taken me at least 3 years to get to where I am today that I have been flown to Jamaica, Morocco, the Dominican Republic, Miami, California, Mexico and soon Nicaragua all on the dime of wonderful companies who have been interested in working with me. My point is this: if you’re looking to become a travel blogger than it’s important to be honest with yourself about why you’re doing it. If you’re only hoping to snag free travel, then just know it will take patience and sometimes years to get to that point. At the end of the day, the best work is defined by passion and if you have a passion for travel writing then it will show in your blog. When it comes to snagging free travel perks–I sometimes reach out to companies I admire and hope to work with while sometimes companies reach out to me. Because of my background in advertising, marketing and public relations, I know that the currency for free travel and perks is exposure. A company will only be interested in offering free hotel stay, tours, product reviews, etc. if you can provide exposure in return. For The Pin the Map Project, this means social media, blog posts, custom videos and sometimes whole custom programs done in collaboration with a company. When I first started out, I was able to snag maybe a free hotel stay here and there; and when I did, I always made sure to follow through on the exposure promised in order to maintain good relationships with contacts. In addition, to respect my readers I will always try to only endorse companies and partner with brands that I 100% stand behind and would recommend. The Pin the Map Project is always growing in one way or another. Whether I am starting Snapchat (quick digression here: I just downloaded this recently and my sister, who is 18, made fun of me for being uncool haha!) or adding new sections to the site like Dispatch, I am always thinking of ways to evolve this website. My latest endeavor? Keep an eye out for a new section of downloadable Pin the Map City Guides coming at you soon! 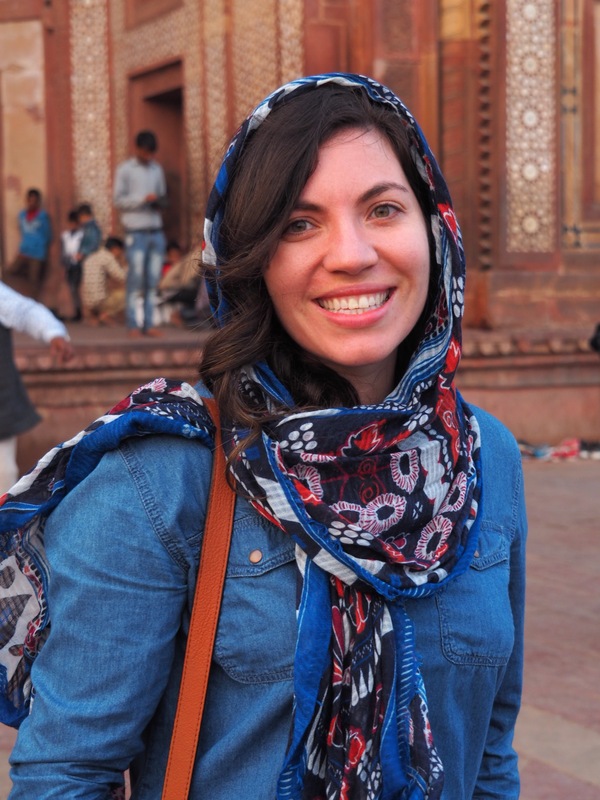 I traveled to Morocco for 10-days with Topdeck Travel, I spoke at the New York Travel Festival on a panel with extremely talented writers and I’ll be speaking at the upcoming Women’s Travel Fest alongside some rockstar women in the travel field. Here’s the thing about travel blogging–by virtue of what you’re doing, you are putting yourself out there for the world to see. It can be scary, it can be vulnerable but if you don’t believe in yourself and you don’t dare to ask “why not me?” then your blog may never grow to its full potential. For more advice and tips on starting a travel blog, check out the BLOG TIPS section! Make sure to share YOUR best blogging tips and how you got started in the comment section below! These are all valuable insights, thank you 🙂 I’ve started blogging a while back (couple of years ago) and it started off as a personal travel diary more often than not, but I’ve come to realize I’ve helped people in listing all the attractions and how-to-get-there business of it all. So I’m trying to treat my blog as a side-business (as much as I’d love to do it full-time, I don’t think it’s personally sustainable for me) while also maintaining that whole “travel diary” feel. Such great tips – thank you so much for sharing! I really love the idea of a trial period – it makes so much sense to test it out before fully investing. Glad you found it helpful! ???? Exactly! I can be a bit of an introvert also so it helps to be pursuing those opportunities via email. I need to work on in person networking! Yeah email and the internet in general really helps us introverts 🙂 Thanks for your advice on the blogger network, too, I’ve just signed up for a local network in Malaysia so will see how it all turns out. Hi Nikki, love your tips! Your blog tips section has been incredibly motivating (and helpful!) as I’ve started the back-end planning to launch my travel blog — coming soon! I did have a question, though: When you were in your trial period, were you still working full time and blogging on the side? Trying to figure out what the best process is … especially living in the NYC area where things are always on the expensive side! Just came across your site through Blog-Lovin. Some really good points to remind myself of – just put myself out there, what the worst that can happen? I get a No. These are all so great, but I love #8. You have to put yourself out there and ask. When I was getting started I really didn’t realize how much of blogging would be a sales job for my own personal brand. It makes total sense, but it took a bit for it to click. Your ratio seems to be about right too – the good news is, the more you ask, the more you hear “yes”! I just started a blog also and am trying to gain exposure, read other blogs, make notes, etc. It is a lot of work, but fun! I will be pinning this and referring to it often. I love your blogging tips! Am just starting out (for 6 months already) and taking all these in! Inspiring, girl! Are All Travel Bloggers Starting to Look the Same?